At ANA Catering Service, we strive to enhance our facilities with the full implementation of the HACCP process and thorough hygiene and industrial safety education in order to ensure quality improvements. 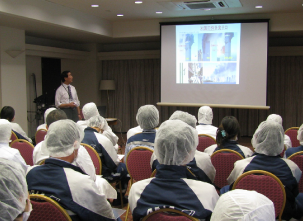 Each process incorporates the HACCP approach at its foundation to ensure temperature management. 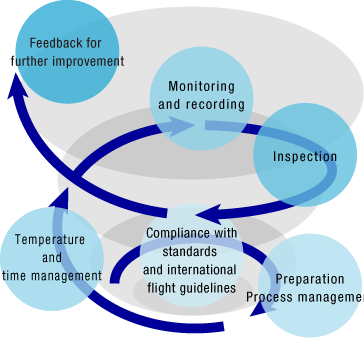 In addition to the implementation of supplier audits and periodic internal audits by a dedicated department, we strive to improve all of our procedures, processes, and equipment through implementation of the Plan-Do-Check-Act (PDCA) Cycle. 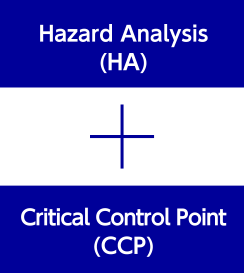 Our management techniques involve the analysis of process hazards, and the continual monitoring of critical control points (CCP) to eliminate these hazards and ensure process safety. 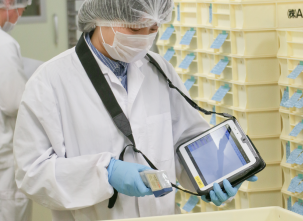 To prevent hazards during these processes, the HACCP monitoring system monitors and records temperatures from ingredient procurement up to production and shipment. In the event of an abnormality, the system will address the problem immediately to prevent damage from spreading. In order to increase the system’s effectiveness, we have created the hygiene control program, containing essential hygiene management knowledge for raw material production, as well as general information on food hygiene in the management of facilities, equipment, machinery and tools, general food handling, employee health management, and education/training. 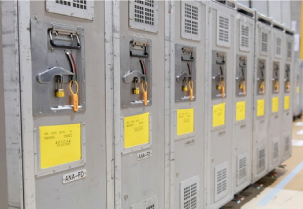 At ANA Catering Service, we have designated our own temperature standards by defining temperature controls as an item of particular significance in effective management. 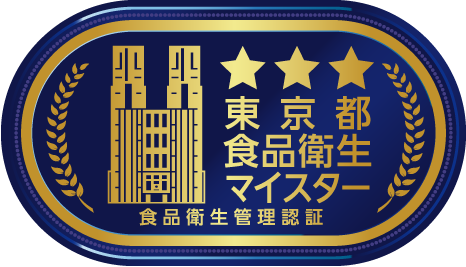 In March 2016, ANA Catering Service was certified as a Tokyo Food Hygiene Meister, based on the Certification System for In-House Management of Food Hygiene. 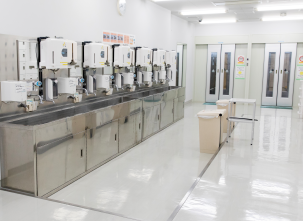 This system is unique to the Tokyo metropolitan government, and assesses everyday voluntary hygiene management carried out within the food industry. We conduct thorough daily inspections in order to implement consistent hygiene management. This includes temperature checks of ingredients upon receipt and routine microbiological testing by our quality control laboratory. Inspection results are then provided to worksites to improve procedures and operations. All ingredients are checked upon receipt for quantity and packaging, as well as for temperature. Boxes transported from outside are unpacked, with the contents transferred to dedicated trays to ensure packing materials are not carried into the factory. The quality control laboratory inspects the sampling of ingredients and cooking utensils in a space shut off from the outside. All ingredients are crushed and soaked in culture solution and incubated for approximately 48 hours. 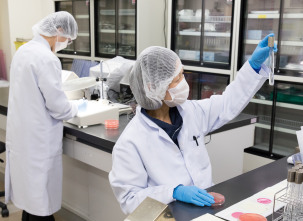 Personnel check for any bacteria growth, and these inspection results are incorporated back into everyday operations. 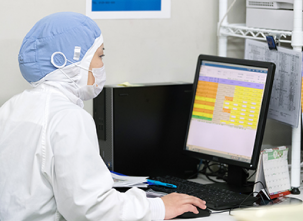 All production processes, product temperatures, and inspection history results are recorded and retained, meaning we can refer back to any of our operations at any time. In addition to this, we store samples of all products shipped in case any abnormalities are suspected after this point. 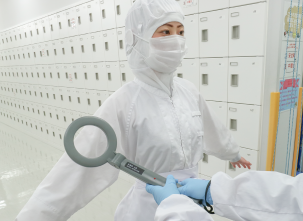 We have introduced metal detectors and X-ray inspection equipment to prevent contamination by any foreign matter. ANA Catering Service is making continuous efforts to improve its facilities. 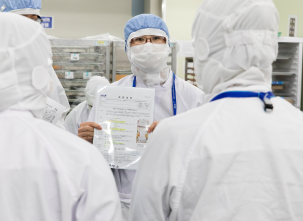 In particular, our Kawasaki factory, opened in April 2011, operates spotless facilities through its strict management of hygiene and security. Employees must enter the handwashing station before entering the food processing area. 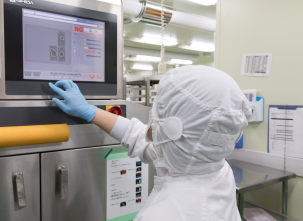 Control processes prevent contamination from garbage or bacteria from outside, and there are detailed steps defining procedures for employee cleanliness, such as dust removal, handwashing, alcohol disinfection, and air showers. 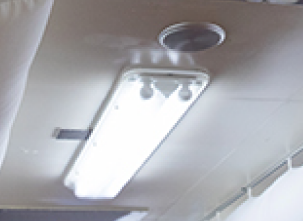 If any fluorescent tubes crack during earthquakes, the lighting equipment in our factory is covered so that small fragments of glass cannot fall into the food. 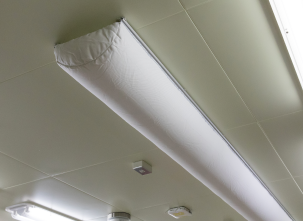 Air conditioner vents are covered with fabric to prevent dust from getting into the airflow. Our blast chiller meets HACCP criteria to cool food quickly after cooking, enabling us to provide delicious, safe in-flight meals. We provide periodic health and hygiene education and training for all of our employees, focusing on the daily, consistent practice of improvement activities, and on raising the morale and motivation of all of our staff. 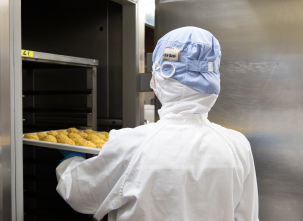 We deploy a wide range of both facilities/equipment and services to protect food from contamination, such as factory admission control, restricting access to food processing areas and belongings brought therein, and medication management. We have installed security cameras to monitor and control intrusion by suspicious individuals from outside, to monitor and prevent the inclusion of dangerous goods or foreign substances, and to guarantee food and employee safety and the peace of mind of our customers. Chemicals for cleaning and inspections are categorized in accordance with rules designed to maintain cleanliness and tidiness, and stored in a secure, designated location. These chemicals are controlled and released with records of use and checks of remaining amounts to guard against unauthorized removal. Personnel are not allowed to bring foreign matter or objects unnecessary for production into the work area. In addition to this, we conduct regular entry inspections of our employees using metal detectors. All 27 allergenic substances are listed in the format stipulated by the relevant laws and regulations, and are indicated in an appropriate fashion for our customers' peace of mind. The ANA Group aims to strengthen its food supply chain management, including environmental protection and respect for human rights, by using this platform in areas related to food, such as in-flight meals. 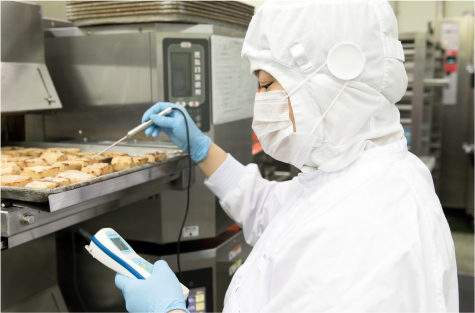 With this, we will deliver safe food to customers and provide assistance to producers of ingredients across Japan. We established the ANAC Aviation Security Plan based on the National Civil Aviation Security Program established by the Ministry of Land, Infrastructure, Transport and Tourism. Accordingly, we have also established a watertight security structure for our own facilities and operations. We have introduced an IC card entry and exit control system at site and building entrances, allowing only authorized employees to enter the bonded area. This means that certain areas are off limits to unauthorized employees and visitors. Our kitchen personnel carry out the strict management of restricted on-board items such as sharp implements (e.g., kitchen knives or scissors) by recording the times that items are taken in and out of locked storage. The security stickers (tags) attached to the trolleys for meals can only be removed by the cabin crew. 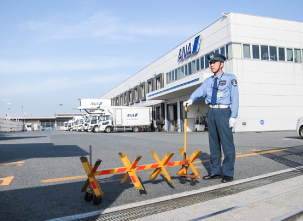 In order to ensure safety during transport, the stickers are attached to the trolleys after loading onto the high-loader trucks, and are then verified at airport security control checkpoints. We provide regular safety education programs for all employees using movies and other easily understood materials for different operations. For drivers, driving education programs, such as safe-driving seminars and driving checks by instructors in the passenger seat, are provided to consistently improve driving safety awareness, knowledge, and technologies.